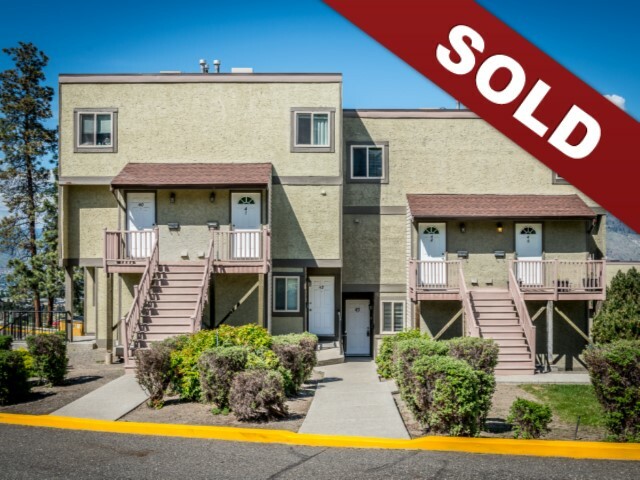 New Listing: 43-1750 Summit Drive, Sahali, Kamloops, BC $204,900. Updated Sahali townhome with 2 bedrooms and 1.5 bathrooms. This home features a main floor with good sized front entry including a closet, there is one bedroom on the main floor and a 2 piece bathroom. The kitchen has a pass through to the living and dining room areas. The living and dining room are open to one another and have a ton of natural light from the large sliding glass door that leads to a spacious patio. The basement level features a large bedroom, full 4 piece bathroom and storage space. This unit is great for a first time home buyer as well as investor as there is not a rental restriction in this complex. The unit comes with 1 parking stall, there is additional guest parking and street parking steps away. Located on the back side of the complex where it is quiet, walking distance from transportation, schools, minutes to local shopping, city amenities and TRU. Easy to show and quick possession possible.